Oracle H.Q. to Become Cyberdyne Systems!? Filming Next 3 Nights! 1: A redo of the police chase in T1. 2: A setup at a hospital. 3: A SWAT style van and a police cruiser with Kyle and Sarah stunt doubles. Now word has come out that filming is about to wrap with on location shooting at Oracle Headquarters in Redwood Shores in Redwood City California. Could this be Cyberdyne Systems? 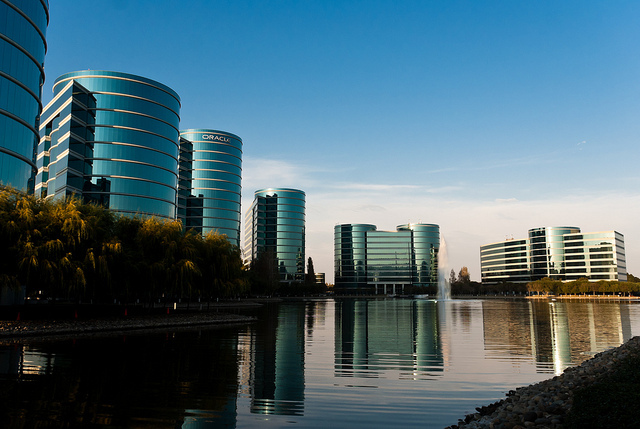 Oracle is the second largest computer software developer in the U.S. behind Microsoft. And the CEO of Oracle is none other than Larry Ellison father of producers Megan and David Ellison. I’m not the only one to look at the campus and come to the possible conclusion that it might be used as Cyberdyne Systems in the upcoming Terminator film.